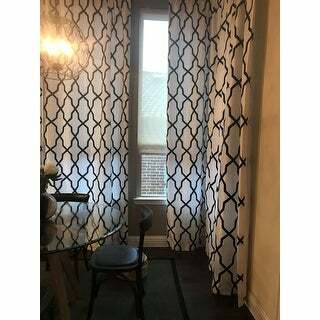 Beautiful good quality curtains! Love them! Our unique Flocked Faux Silks are created by adhereing small colored fibers onto the face of our faux Silks. This process creates a raised vevelty texture in variety of patterns. Suitable for many home decor projects. Base fabric woven from 100% polyester. Love these curtains. They are beautiful and the fabric is perfect. 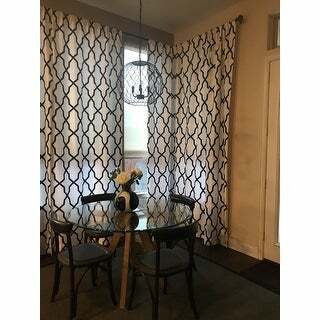 It’s a heavier fabric and looks great on my windows. Definitely worth the price. These are high quality and well made with lining and weights at the bottom. The black is like a soft velvet-like feel to them. I recommend this brand. Panels are exactly as pictured and described. Quality is nice and thick. They have a luxurious look and feel. I am extremely happy with this purchase. 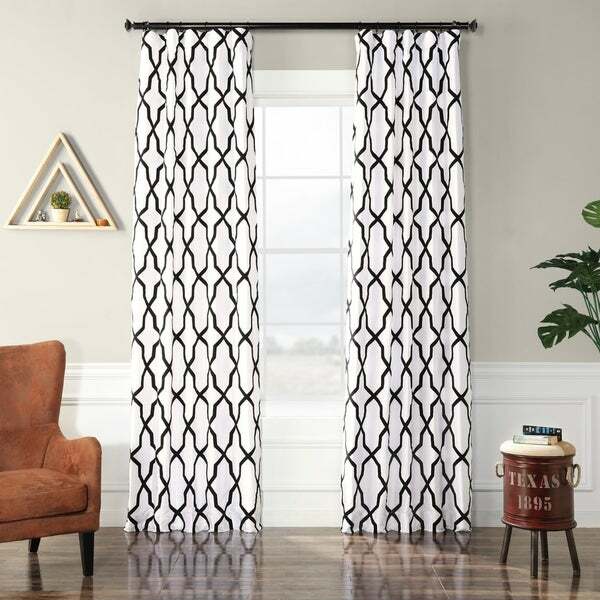 Love these curtains. They are exactly as pictured. High quality. These are beautiful in 120" I just wish they were back tab.